Sam Raimi and Stan Lee had worked on treatments for a Thor movie together in 1991, but Fox didn't want a comic book movie. Sam Raimi reveals the first time that he met Stan Lee and says that he wasn't into the idea of a cameo in Spider-Man. Will Sam Raimi Return to Direct a Future Spider-Man Movie? Spider-Man 3 star Thomas Haden Church believes director Sam Raimi could return to the franchise. Sam Raimi has entered negotiations to direct Lionsgate's The Kingkiller Chronicle, based on the first book in Patrick Rothfuss' fantasy series. Sam Raimi has come aboard to direct World War 3 for Warner Bros., based on predictions from George Friedman's book The Next 100 Years. Horror master Sam Raimi takes the helm for a new horror short that promotes Chevrolet's new danger detecting cars. Sam Raimi is in early talks to direct a remake of the 2010 French drama A Prophet for Sony Pictures and producer Neal Moritz. Maisie Williams reveals what's happening with her possible role as Ellie in The Last of Us movie, while teasing a TV superhero. Sam Raimi took to the Comic-Con stage in Hall H today to update the fans on the status of this video game adaptation. Sam Raimi will produce and possibly direct an adaptation of Jake Tapper's book The Outpost, which tells the true story of 53 American soldiers battling over 400 Taliban fighters. The news was revealed on Twitter. This comes just days after star Bruce Campbell confirmed the project was moving ahead. The story of this follow-up does not interest the filmmaker, who left some loose ends for whoever wants to follow in his footsteps. The filmmaker hopes to work on the script this summer with brother Ivan Raimi, but he never had any passion for the project until right now. Sam Raimi Says Evil Dead 4 Is Finally Happening! The director of the original trilogy reveals that he is going to start work on the script with his brother sometime this summer. Go behind-the-scenes of Sam Raimi's fantasy adventure to discover how these characters came to life, in theaters this March. Oz: The Great and Powerful Poster with Mila Kunis as The Wicked Witch! The actress stars as Theodora in Sam Raimi's fantasy adventure, which tracks the origins of the all-powerful magician Oscar Diggs. Rob Tapert will co-produce this fantasy adaptation set in a future where angels are sent down to destroy the modern world. 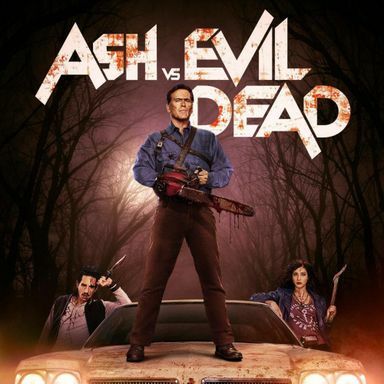 Evil Dead Trailer Preview Featuring Bruce Campbell! The original Ash joins Jane Levy to introduce the first footage from this bloody remake of Sam Raimi's twisted cult classic. The Evil Dead Remake Trailer! Jane Levy and Shiloh Fernandez star in this Fede Alvarez directed remake of the Sam Raimi horror classic.